It was no surprise that off the back of the success of ‘Jurassic World‘, that a sequel would be an automatic given. Now that sequel has a director signed on for his chance to bring a little pre-historic terror to the world. J.A. Bayona (‘The Impossible‘) has had his name mentioned more than a few times since he bowed out of the running for ‘World War Z 2′ last year, but it’s now finalized. 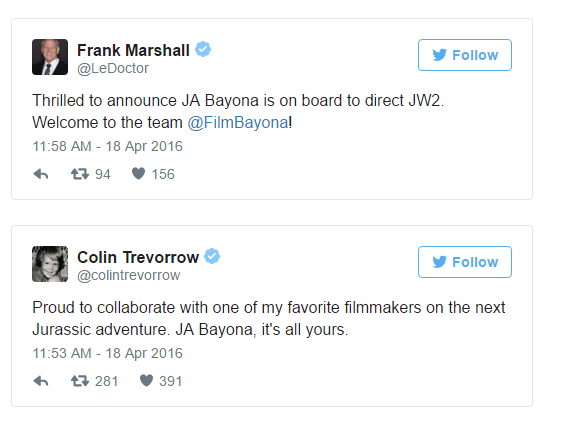 Twitter was the vehicle that brought us the announcement of Bayona’s involvement, and the news came from producer Frank Marshall and director of the original Colin Trevorrow. 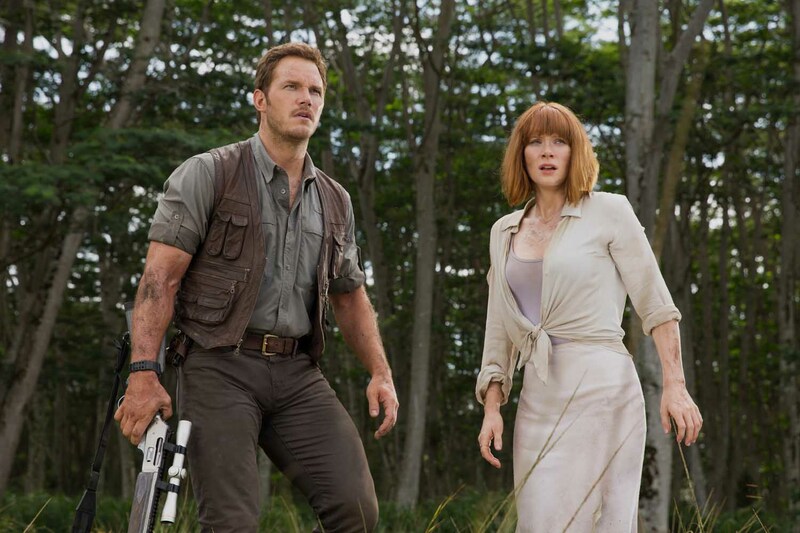 Trevorrow and fellow exec producer Steven Spielberg are not the only ones coming back for the sequel as Chris Pratt and Bryce Dallas Howard are returning, as well. 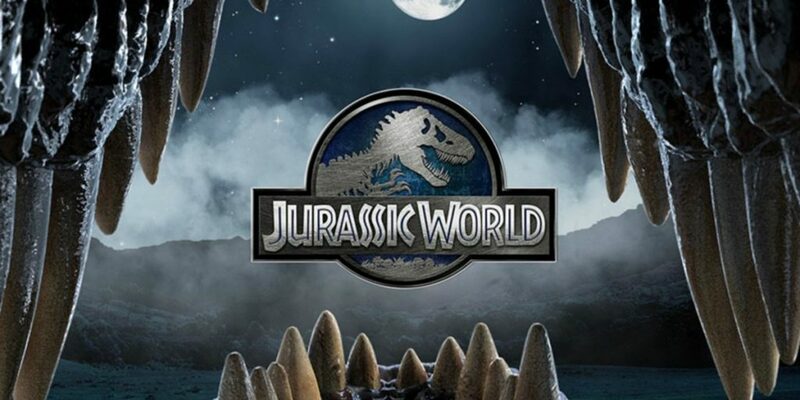 Trevorrow isn’t content to sit in the back after writing and directing ‘Jurassic World‘. In addition to his exec producing duties, he will re-team with writing partner Derek Conolly to write the script. Just like when ‘Jurassic World‘ was being filmed, the rumor mill is churning out the usual spiel that Laura Dern, Jeff Goldblum and Sam Neill will possibly return to their characters from ‘Jurassic Park‘ almost 25 years ago. This entry was posted on Monday, April 18th, 2016 at 1:41 pm	and is filed under Books, Film, News. You can follow any responses to this entry through the RSS 2.0 feed. You can skip to the end and leave a response. Pinging is currently not allowed. « Interview with Henry Thomas!